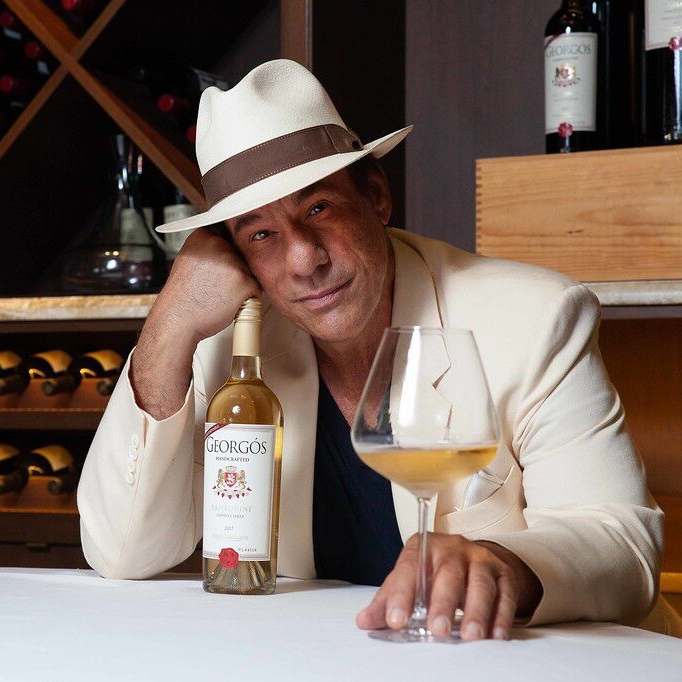 Posts tagged with "Whole Foods"
Georgós Greek Wine, an innovative wine company that uses the best of American techniques to handcraft small batch wine in Sonoma Valley from imported Greek fruit, is proud to announce a partnership with Robert Davi, the award-winning actor, screenwriter, director, producer and jazz vocalist. Davi has appeared in more than 130 films including, THE GOONIES; JAMES BOND: LICENSE TO KILL; DIE HARD, the upcoming film REAGAN, as well as the groundbreaking TV series Paper Empire. Currently touring in his show “Davi Sings Sinatra,” where he performs notable tunes from the legendary crooner, Davi has also just released the documentary, “DAVI’S WAY” that explores the challenges and thrills of singing Sinatra’s uniquely American masterpieces. In addition to his ‘tough-guy’ roles, Davi is well known as a singer. He has performed at The Venetian, The Orleans and Planet Hollywood in Las Vegas, headlined the Friars Club’s 90th Anniversary Tribute to Tony Bennett with Robert De Niro and Scarlett Johansson, and recently performed at the United Nations to celebrate its 70th Anniversary. Davi acted and performed in the Frank Sinatra 100th Birthday Special on PBS—most fitting since Sinatra’s work has been foundational in Davi’s own life and career. Davi and Georgós Greek Wine formed a partnership after Davi purchased a bottle of wine at Whole Foods Market in San Francisco. The bottle happened to be Georgós’ “Santorini” wine. After Davi tasted the crisp white varietal, he fell in love instantly and called it, “one of the smoothest damn wines I’ve ever had.” He then dove into the reds and was inspired to connect with Georgós. The partnership between Davi and Georgós Greek Wine comes fresh off the heels of another collaboration between the winemaking team and personalities of note. Earlier this year, in partnership with ultra-marathon living legend and one of Time’s “Top 100 Most Influential People in the World,” Dean Karnazes, they created Marathon Wine. Georgós was born after founder Georgos Zanganas moved to San Francisco to work as an engineer. Zanganas is very sensitive to sulfites in wine, and he struggled to find a wine that did not give him a headache or stop the red flush of his face. He even found it difficult to come by good quality Greek wine in the area. Surprising, as the US market was saturated with all things Greek – such as yogurt or olive oil – but curiously not wine. He decided to make a wine perfect for him: clean tasting with low sulfites and no additives. Zanganas discovered Deerfield Ranch Winery in Sonoma Valley (known for their “Clean Wine”), on a trip to Sonoma, where he met winemaker Robert Rex, who was recently named 2018 Winemaker of the year by the American Fine Wine Competition. Together they embarked to make a “clean wine” with imported Greek fruit. Zanganas and Rex spent one year, tasting over 400 samples until they found the perfect recipe to create Georgós Super-Premium Greek wine, which is fruit forward with soft tannins. The rest, as they say, is history. • Santorini, “Sophia’s Smile”: a 2017 Assyrtiko similar to a dry, crisp Sauvignon Blanc. • Mykonos, “Wine of Hercules”: a 2013 vintage Agiorgitiko in the Pinot Noir style. • Corfu, “Siren’s Lure”: a 2015 Bordeaux style red blend. • Ios, “Aphrodite’s Kiss”: a 2017 Dry Rosé of Agiorgitiko grapes. • Ithaka, “Penelope’s Spell”: a 2015 blend of premium Greek Cabernet Sauvignon. • Marathon, “Athena’s Vineyard”: a 2017 Assyrtiko blend similar to a dry Sauvignon Blanc. • Marathon, “Nike’s Vineyard”: a 2017 Rosé with the structure of a Pinot Noir. 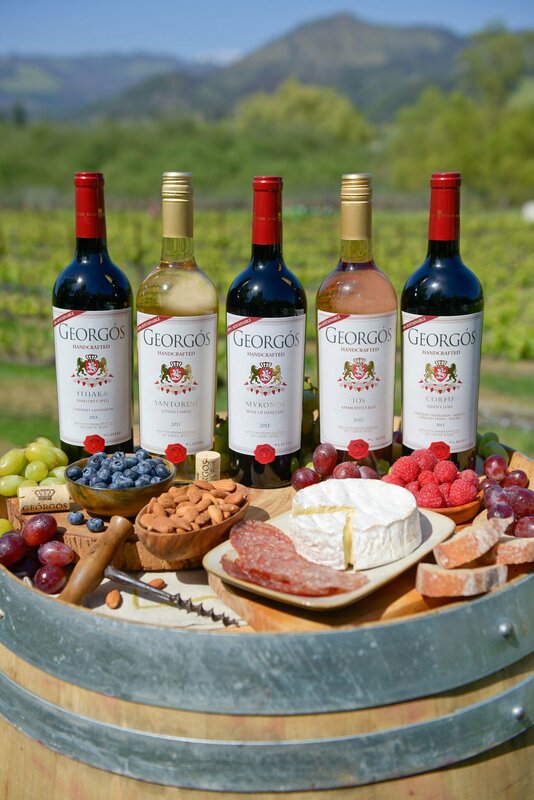 Georgós Greek Super-Premium Wines are the direct result of a team pursuing excellence in flavor and the highest degrees of quality possible. They look forward to creating future partnerships and bringing their delicious and healthy wines to enthusiastic devotees across the country. This entry was posted in Wine and tagged 360, 360 Magazine, Actor, American, American Fine Wine Competition, Atrin Yazdani-Biuki, award-winning, California, competition, Dean Karnazes, Deerfield Ranch Winery, delicious, director, film, Frank Sinatra, Friars Club, fruit, Georgós, Georgós Greek Wine, Georgos Zanganas, grapes, Greece, Greek, Greek fruit, Greek Isles, Greek wines, healthy, Hotels, JAMES BOND: LICENSE TO KILL, jazz, Kalamata, las vegas, long island, Los Angeles, movies, Northern California, olive oil, pinot noir, Planet Hollywood, producer, REAGAN, restaurants, Robert Davi, Robert De Niro, Robert Rex, San Francisco, Sauvignon Blanc, Scarlett Johansson, Screenwriter, singer, Sonoma, Sonoma Valley, THE GOONIES; JAMES BOND: LICENSE TO KILL; DIE HARD, The Orleans, The Venetian, Tony Bennett, United Nations, us, Vaughn Lowery, vineyard, Whole Foods, winemaker, winemaking, winery, wines, Zanganas, Marathon Wine on August 24, 2018 by wp360mag. Sanrio, the global lifestyle brand best known for pop icon Hello Kitty, announces the expansion of their popular Hello Kitty Wines portfolio.The highly sought-after wine collection now includes two new varietals, and the complete line-up is widely distributed across more grocery stores and retailers in the U.S. market. The wines are also available online at hellokittywines.com and can be shipped to 45 states across the country. 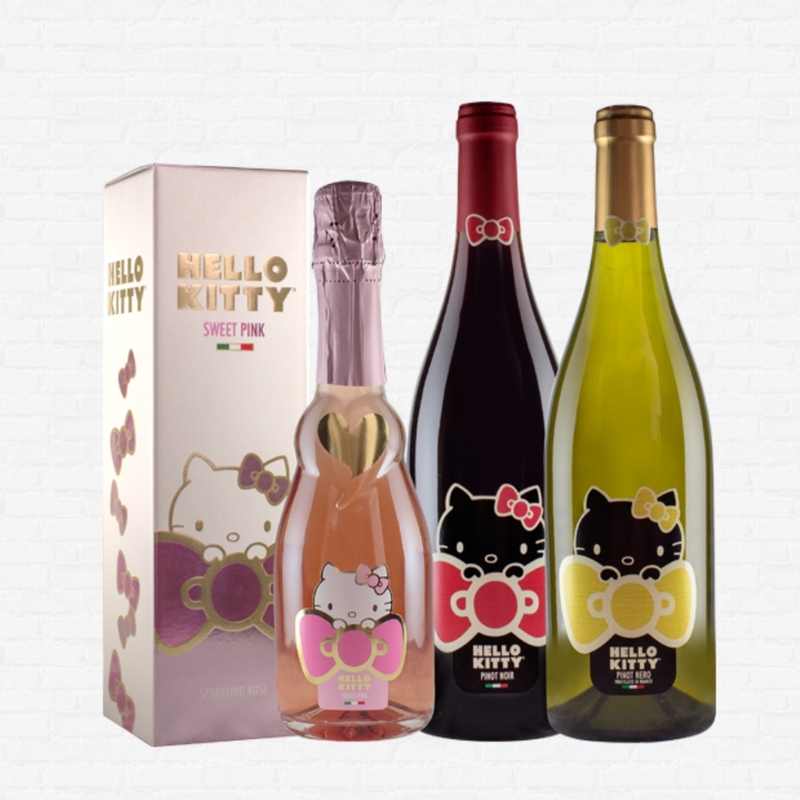 Debuting this Summer are new varietals of Hello Kitty Prosecco and Hello Kitty Pinot Grigio, joining the exclusive range of Sanrio’s wines, now totaling seven different varieties. The complete wine portfolio includes an award-winning Pinot Noir (recipient of the prestigious Vinitaly 5 Star Wines award in 2017 and rated 90 points by James Suckling), a “Sweet Pink” blend, Sparkling Rosé, Pinot Nero Vinified in White, as well as a special edition Sparkling Rosé with limited edition packaging. The timely Summer release of the new Prosecco and Pinot Grigio gives adult fans a reason to enjoy light and refreshing wines with Hello Kitty all season long. The distribution of Hello Kitty Wines currently includes grocery chains and specialty wine retailers across the country. 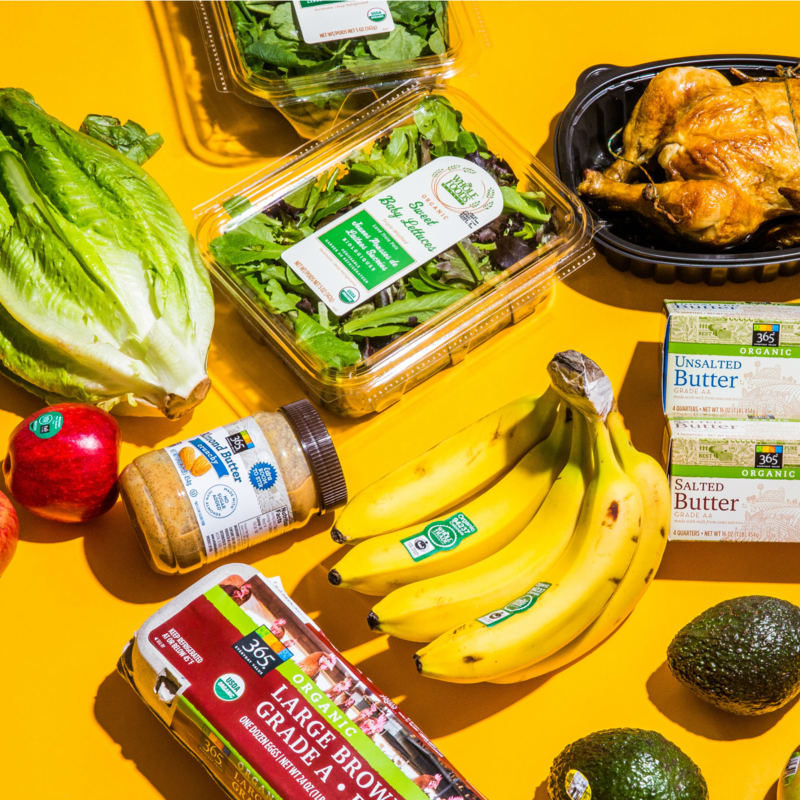 Supermarkets include Albertsons, Pavilions and Vons locations in California, Safeway in California and Hawaii, as well as Japanese specialty markets Mitsuwa Marketplace, Marukai and Nijiya Market. All Whole Foods locations in Oregon will begin to carry Hello Kitty Wines as of early October 2018. Among the specialty retail locations selling Hello Kitty Wine are BevMo, Total Wine & More in California and Nevada, Spec’s Wine, Spirits & Finer Foods in Texas, plus hundreds of independent wine stores around the country. Fans can stay up-to-date on where they can find Hello Kitty Wine in their local area by visiting hellokittywines.com. Sanrio is the global lifestyle brand best known for pop icon Hello Kitty®, who is gearing up for her 45th Anniversary in 2019. Home to many endearing characters including Chococat® My Melody®, Badtz-Maru® and Keroppi®, Sanrio was founded on the ‘small gift, big smile®’ philosophy – that a small gift can bring happiness and friendship to people of all ages. Since 1960, this philosophy has served as the inspiration for the broad spectrum of unique products and experiences. Today, more than 50,000 Hello Kitty-branded items are available in over 130 countries and upwards of 15,000 U.S. retail locations including department, specialty, national chain stores and over 35 Sanrio boutiques. For more information please visit www.sanrio.com and www.facebook.com/hellokitty. This entry was posted in Wine and tagged 360, 360 Magazine, Albertsons, alcohol, Atrin Yazdani-Biuki, award-winning, Badtz-Maru, BevMo, boutiques, brand, California, characters, Chococat, Debut, department, drink, fans, global lifestyle brand, hawaii, hello kitty, Hello Kitty Wine, James Suckling, Japan, Japanese, Keroppi, Limited edition, luxury, Marukai, Mitsuwa Marketplace, My Melody, nevada, Nijiya Market, Oregon, packaging, Pavilions, Pinot Grigio, Pinot Nero Vinified in White, pinot noir, products, Prosecco, retail, Safeway, Sanrio, Sparkling Rosé, Spec's Wine, specialty, Spirits & Finer Foods, stores, Supermarkets, Sweet Pink blend, Texas, Total Wine & More, U.S., unique, Vaughn Lowery, Vons, Whole Foods, wine on August 15, 2018 by wp360mag. Lower in sugar, calories, sulfites and free of flavor additives, FitVine is now available in an additional 38 Whole Foods locations. 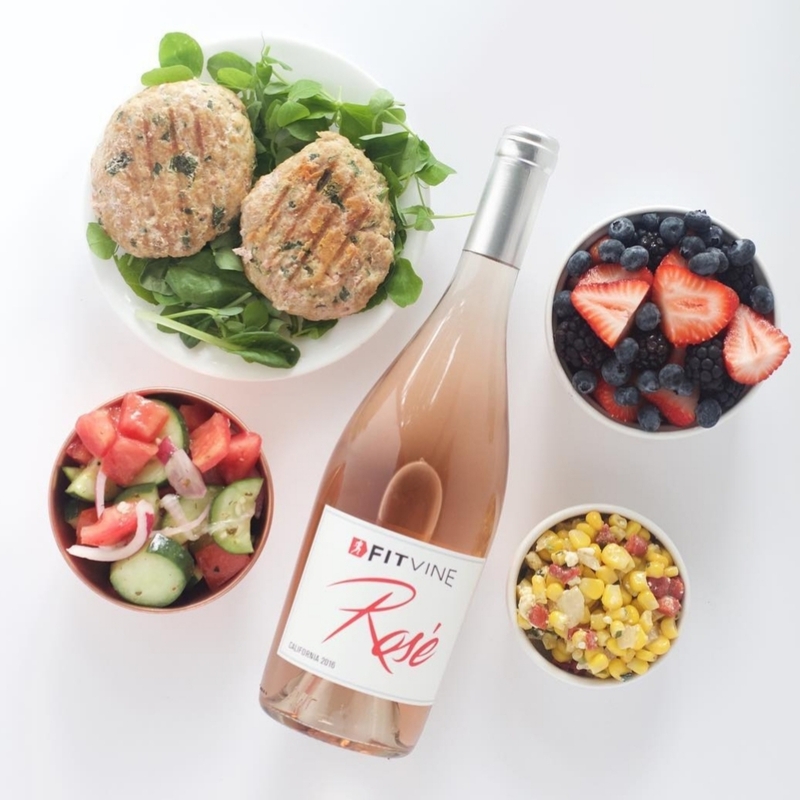 FitVine Wine, makers of clean tasting wines that are low in sugar, calories, carbohydrates and sulfites, as well as free of flavor additives, has expanded their in-store distribution with Whole Foods Markets in Texas and Louisiana. This expansion will make FitVine wines available in 33 Whole Foods locations in Texas and 7 locations in Louisiana. FitVine Wine was born when friends made a pact to craft amazing wines that would compliment their active lifestyles rather than compromising their health and fitness goals. FitVine is currently available in 47 states, soon to be 49, and over 5,300 retail locations, with new stores being added monthly. This expansion highlights the strengthening of the FitVine brand and growing consumer demands for clean tasting wines with robust flavor profiles and 13-14% alcohol content. FitVine varietals include: Pinot Noir, Cabernet, Rosé, Chardonnay, Pinot Grigio, and Sauvignon Blanc. The extended proprietary fermentation process sets FitVine apart. The results are wines that have no additives and less sugar, calories, carbohydrates and sulfites compared to competitors. The unique fermentation process also allows FitVine to craft rich and flavorful wines with the mouthfeel and alcohol content (13-14%) consumers expect from a high quality fine wines. FitVine wines are also gluten free and vegan. Want to learn more about FitVine Wines, find a retailer near you or pop open your first bottle? Visit https://www.fitvinewine.com/ for more information. FitVine Wine was born when friends made a pact to craft amazing wines that also fit their active lifestyles. FitVine wines are lower in sugar, calories, carbs and sulfites compared to other wines and have no flavor additives. To create clean and rich tasting wines with the flavor, mouthfeel and alcohol content you expect from a fine wine, FitVine uses a proprietary malolactic fermentation process. The wine ferments to dry and lowers sugar levels. On average, all wines have less than 0.06 grams of sugar, 2.4g-3.9 grams of carbohydrates and 110-120 calories (per 5 oz glass). The ‘fun’ in the bottle remains intact with all wines ranging from 13.4 – 13.9% alcohol. FitVine crushes grapes, so you can crush life! This entry was posted in Wine and tagged 360 Magazine, alcohol, Atrin Yazdani-Biuki, Business, carbs, chardonnay, craft, drink, fermentation, fitness, FitVine, flavor, fun, gluten-free, grapes, health, healthy, Louisiana, luxury, Mark Warren, pinot noir, pop culture, popular, rich, rose, shopping, Sugar, sulfites, tasting, Texas, Vaughn Lowery, vegan, Vine, Whole Foods, Whole Foods Markets, wine, wines, Cabernet, calories, FitVine wine, Pinot Grigio, Sauvignon Blanc on July 17, 2018 by wp360mag. Each holiday is filled with homemade recipes and delicious snacks, making it a foodie’s favorite time of year. 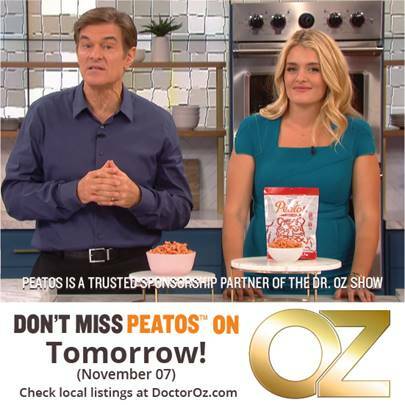 This year, instead of gifting the foodie in your life one of their favorite treats, why not step it up by introducing them to new, healthy flavors their taste buds will love. 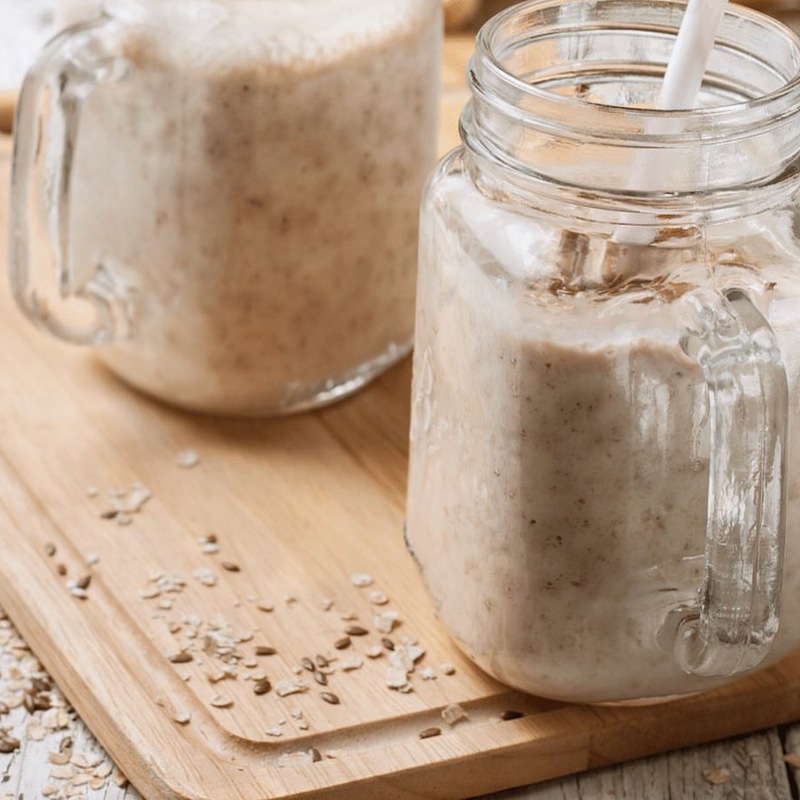 Below are some healthy picks that are sure to shake up every foodie’s holiday! 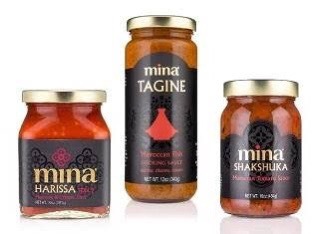 MINA Classic Moroccan Harissa, Shakshuka and Tagine’s spice up the flavor of your food, add nutrients to your health and easily up your cooking game. What can be used as a sauce, dip or spread, Mina Moroccan sauces are versatile in its ability to add heat to any dish, as well as make Moroccan cuisine quick and easy. 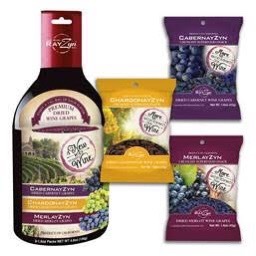 The newest superfood, Wine RayZyn, is a hand-harvested wine grape naturally toasted and caramelized, keeping the skin and seeds intact to provide unprecedented amounts of fiber, nutrients, and antioxidants—not to mention, a delicious crunch. RayZyn can be added to all your salads, baked goods, side dishes and more! Olitalia, an Italian-based and globally loved olive oil and vinegar company, is introducing their line of balsamic-based Drink Vinegar to the U.S. market just in time for the holidays. Available on Amazon and nationwide in October, Drink Vinegar helps improve metabolism, enhance digestion, serves as an excellent source of Potassium, Calcium, Vitamin B2 and B3 AND can restore your skin’s natural beauty and radiance. 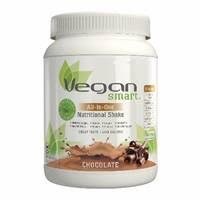 VeganSmart, a line of delicious, plant-based nutritional shake, with no dairy, eggs, soy, artificial sweeteners, flavors, colors, preservatives, cholesterol, acesulfame-K, MSG, and zero trans-fat, is the perfect way to stay full and keep your energy up during the busy holiday season. 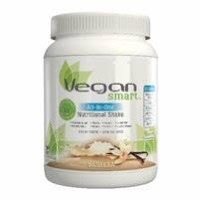 Containing 5 different non-GMO plant based proteins, VeganSmart provides the essential amino acids for building and repairing tissue and muscle. This entry was posted in Health and tagged 360 Magazine, Amazon, amino acids, antioxidants, building, calcium, Diana Macaraeg, digestion, fiber, fitness, food, grape, health conscious, healthy, holiday, metabolism, Mina, Moroccan, muscle, no dairy, no gmo, nutrients, oft guide, olitalia, organic, potassium, repairing, salads, soy, tissue, Vaughn Lowery, VeganSmart, vinegar, vitamin, Whole Foods, wine, wine rayzyn, workout on September 26, 2017 by Pitch360. 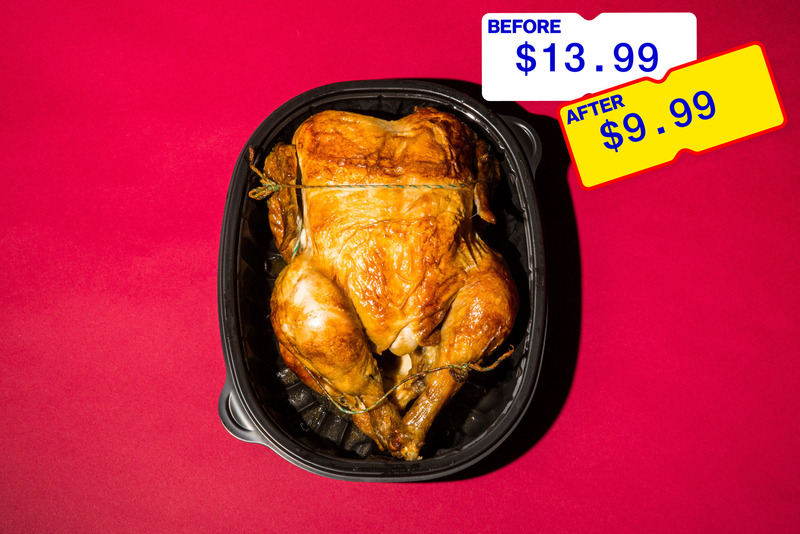 (Featured Image) Organic Rotisserie Chicken cuts its price! This entry was posted in Uncategorized and tagged 360 Magazine, Amazon, Costco, Fruits, Grains, Groceries, Los Angeles, market, New York, organic, Poultry, Price Cut, San Francisco, Vaughn Lowery, Vegetables, Walmart, Whole Foods on September 11, 2017 by wp360mag. 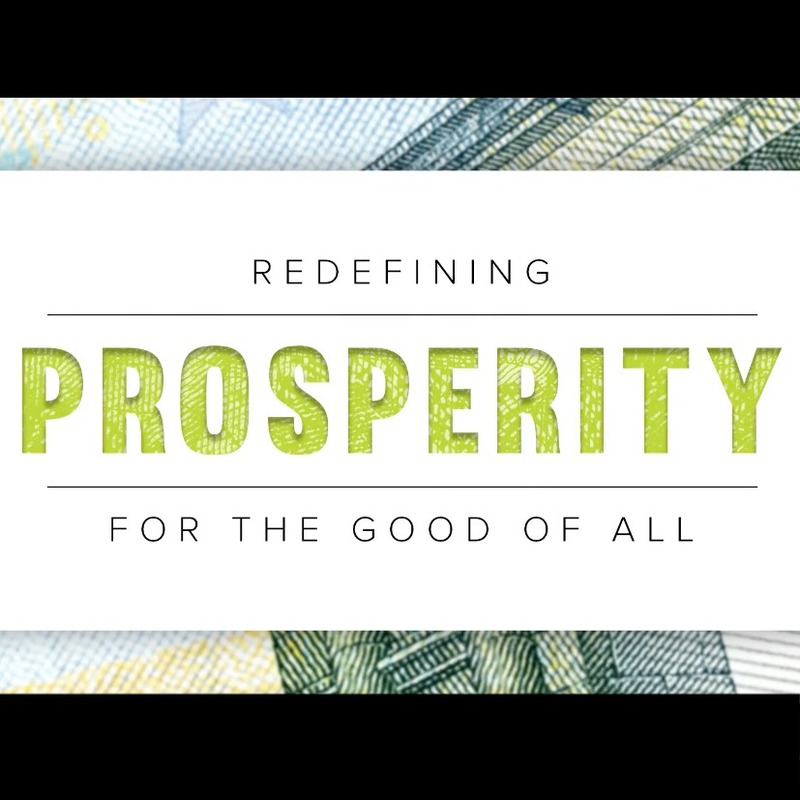 Released today, Well.org and Urban Monk, has unveiled its trailer for their upcoming film, “Prosperity.” Directed by Mark Van Wijk, the film follows, Dr. Pedram Shojai, an author, filmmaker, founder of Well.Org, Urban Monk, husband and father. PROSPERITY is a feature documentary about his journey across the Americas to discover a more sustainable way for us all to do business and thrive on our Planet. ‘The Urban Monk’ tracks the organic roots of Rodale Publishing; the food revolution of Whole Foods Market; Guayaki’s waged war for rainforest redemption; Terra Cycle’s scheme to drain the oceans of plastic; architect CookFox’s carbon-reducing skyscraper design, alongside many others. Through these companies and more, the documentary explores an exploding conscious business movement, one fueled by social responsibility, transparency, millennials, and the realization that business-as-usual can’t go on. The film unveils effective ways for everyone to be a part of this movement and really drive the positive change needed in the world. Prosperity will be released in select theaters beginning ,Sept 29, 2017. Locations include 9/29 – NY (IFC Center) and LA (Music Hall). The film will be available Online and DVD on October 5, 2017. You can check out the trailer for this upcoming film HERE. For more information check out, Prosperity Film Official. This entry was posted in Uncategorized and tagged 360 Magazine, Business Movement, CookFox, Documentary, Dr. Pedram Shojai, Feature, Kirk Acnam, Mark Van Wijk, movie, Positive Change, Prosperity, Rodale Publishing, Terra Cycle, trailer, Upcoming, Urban Monk, Vaughn Lowery, Well.org, Whole Foods on August 2, 2017 by wp360mag.